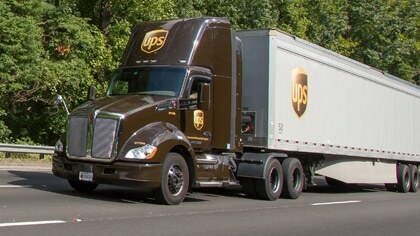 Over the summer, UPS quietly made a change to their fees. After another small change in September though, shippers need to start listening, or this Holiday Season is going to be a rough one for their bottom line. The parcel carriers routinely raise their fees, so this was nothing new. In September however, UPS went a step further. They lowered the average SCC amount to $2.00 for the fee to be assessed. This drop leaves very little wiggle room for shippers, and makes avoiding errors critical to stopping profits from leaking out of your supply chain. Watch Your Figure: manifesting accurate dimensions is crucial to avoiding this fee, as SCC’s for dimensional weight can easily start to add up. Make a Wish List: identifying areas in your supply chain that are currently being hit with SCC’s can help you negotiate better discounts in these areas, helping to lower the average. Don’t Make the Naughty List: allocating resources to avoid mistakes on the shipments with the most costly SCC’s, such as expensive zones, priority services or accessorial charges, can take the sting out of this new charge. Our companies’ expertise and business intelligence tools can help facilitate all these strategies. Contact us today for a free demo, and unwrap the gift of savings this holiday season! Since 2003, Zero Down Supply Chain Solutions has provided its clients with a consultative-style approach that dramatically reduces transportation and supply chain expenses. Through its Optimization, Audit and Visibility service offerings, Zero Down uncovers unnecessary, hidden expenses in carrier agreements, and presents its findings as unbiased, actionable data. Long standing industry experience, detailed negotiation capabilities, and Zero Down’s proprietary software suite called FreightOptics provides the right tools and total visibility, so identifying - and improving upon - areas of inefficiency is easier than ever. Zero Down services companies that ship Domestic and International: Small Parcel, Less Than Truckload, Truckload, International Air and Ocean, and Ocean Contracts direct with Steamship Lines. Our CEO Brad A. McBride was recently featured as a Thought Leader in Inbound Logistics magazine. Read the article below for his expert take on how the supply chain industry is adapting to the digital revolution. For more information or to view the issue in full, visit www.inboundlogistics.com.